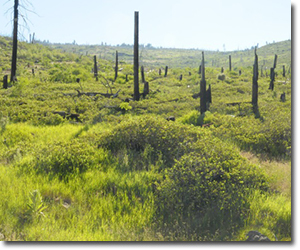 1st Rustici Rangeland Tour a success! 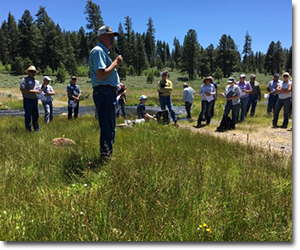 Last week, we held our 1st Rustici Rangeland Tour in the beautiful Warner Mountains in Alturas, Calif. 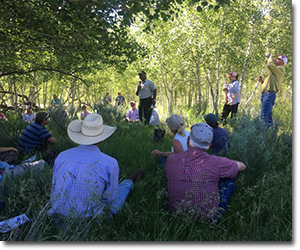 The tour continued the conversation from our 3rd Rustici Rangeland Science Symposium, providing additional opportunities for networking as well as field-based learning. 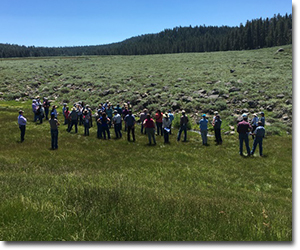 The day included on-site demonstrations and discussions of post-wildfire grazing management, meadow and riparian health, grazing lands water quality, and aspen and juniper ecology management on California’s public rangelands. “We've got some challenges and the only way we're going to solve them is by working together,” said Barnie Gyant, Deputy Regional Forester of the USDA Forest Service Region 5. The tour drew 72 participants including local ranchers, public lands permittees, leadership and field representatives from federal and state agencies, and representatives from the agricultural and policy communities. 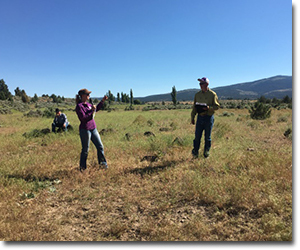 David Lile, UCCE Lassen County, and Laura Snell, UCCE Modoc County, were instrumental partners and local hosts for the 1st Rustici Rangeland Tour. We look forward to holding similar events across the state! For more information and tour handouts, see below.